If you need to have any work done on your Appleton home’s exterior, you need to call the experienced roofing and exterior contractors at Oakwood Exteriors. We provide unbeatable service for your Appleton roof, siding, and even windows. So, with us, you can be sure of one thing: From top to bottom, your home will remain in the best and sturdiest condition for years to come. They arrived on time, did an excellent job, would have them back again. Jordan, the main representative, answered all of our questions and addressed all items. Very neat during roof tear off and new roof. Also, new gutters with covers. NEED A NEW ROOF? Call Jordan at Oakwood Exteriors. 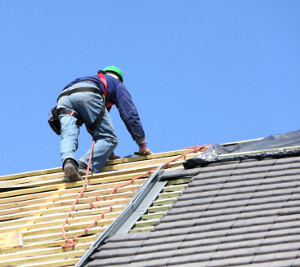 We had several estimates before replacing our unsightly roof. We called Jordan after receiving a postcard from him, and we were glad that we did. After being told it would take 1-2 days to complete the job we picked out some cool shingles. On the day we chose, a whole crew of guys swarmed around our house and within hours the old roof was gone, unexpected problems were detected and repaired with our blessing at a fair price, and the new roof was begun. The next morning the efficient team of pros came back to finish the garage and do the final clean-up. By the way, they left it cleaner than they found it!! Thanks ever so much for a total job well done!